Alexandria Ocasio-Cortez (1989- ), a Bronx educator, defeated ten-term Congressman Joe Crowley, even though he outspent her ten to one with the help of Wall Street. It is making news even in Mexico and Brazil. On June 26th 2018 she won the Democratic Party primary for New York’s 14th Congressional District. 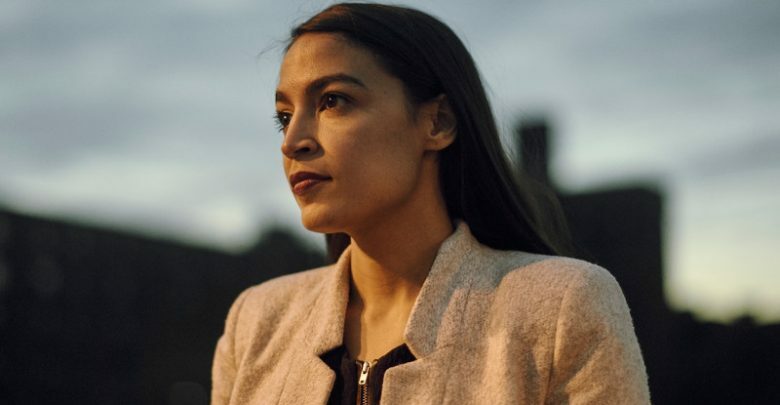 If she wins the general election in November, which seems likely (it is a Democratic safe seat), she will be the youngest woman ever elected to Congress. She is just 28. She could become senator, governor, president. New York’s 14th District takes in parts of the Bronx and Queens in New York City. It is a place where Uber drivers, waitresses, and cleaners live – and where the prison on Rikers Island stands. It is 18% White and 50% Latino (mainly Puerto Rican), but has always had a White representative. Her mother is from Puerto Rico, her father from the Bronx. She comes from a family of groundskeepers and has a degree in economics and international relations from Boston University. “This race is about people vs. money. We’ve got people, they’ve got money. It’s time we acknowledge that not all Democrats are the same. That a Democrat who takes corporate money, profits off foreclosure, doesn’t live here, doesn’t send his kids to our schools, doesn’t drink our water or breathe our air, cannot possibly represent us. “What the Bronx and Queens needs is Medicare-for-all, tuition-free public college, a federal jobs guarantee, and criminal justice reform. We can do it now. It doesn’t take a hundred years to do this. “A New York for the many is possible. She worked for Bernie Sanders when he ran for president in 2016. It showed her that grass-roots campaigns were still possible. Like Sanders, most of her money comes from small donors and she is unashamedly left-wing. Unlike Sanders she is race conscious. She belongs to the Democratic Socialists of America, the largest socialist party in the US. Black Lives Matter of Greater New York was an early supporter of hers. Protest: She took part in the Standing Rock protests against the Dakota Access Pipeline and, earlier this week, the protests at the Mexican border against President Trump’s zero tolerance immigration policy. Criminal injustice: She understands how public prosecutors are in bed with the police, the trouble with money bail, and how the prison industrial complex profits off of too many people being in prison. She sees the Latino vote as a sleeping giant. She says that in a country as rich as the US, everyone should have good education and health care. The reason that sounds like a pipe dream is because of the Reagan, Bush, and Trump tax cuts. #BillionaireLivesMatter. Ms. Ocasio-Cortez is clearly not the stereotypical New York power broker who has sold her soul to the Evil Empire. She sounds like she could be the best politician that state has had since Bobby Kennedy. Her mother says she does want to be president! The heart and soul of New York bringing a strong pulse back to the salt of the earth. Where on earth did you get that? Her father, now dead, was an architect. Is GroundsKeepers like the new way of saying maid, house keeper, dishwashers, janitors etc? I come from that. She said that in an interview. That does not mean her father was necessarily one himself. I notice she says very little directly about her father. What I have gathered is that he had a university degree, had a small business in the South Bronx, doing God knows what, died of cancer circa 2008, and was born in the Bronx. He looks like he might be Puerto Rican, but so do tons of people, so I am not even sure if he is Puerto Rican. “Groundskeeper”, at least in this case, means like janitors, building maintenance, landscapers, gardeners, etc. People hired to maintain a property. Well, at the end of the day she’s just another politician. I hope those brown Latino immigrants aren’t looking for her to be some kind of savior. One month in office and she, the youngest member, is taking Washington by storm. She certainly is no snowflake. Well, she can’t run for President now, which I guess is a good thing. In the meantime she can work on ethics for government officials, the environment and health care. For me, transportation and health care and climate change are my main concerns if I move back to the USA. I saw that on YouTube. It demonstrates yet again why she needs to be president. But that says more about the political leadership in the US than about her. All she is doing is showing the simple moral courage and honesty that any national leader should have. Do you think she can survive until 2024? I used to live in Astoria, Queens, but on the west side, which is grouped with the East Side of Manhattan for the congressional district. Since that is the last place I voted in USA, that is the district my absentee ballot goes to. Too bad she is not the one representing my district. I was wondering if the establishment democratic Congressmen/women in NYC have anything to worry about if the fever spreads to the adjoining districts (including mine). Should the senators (Gillibrand and Schumer) worry about THEIR seats in the next election? Gillibrand was just re-elected to her 2nd 6-year term but maybe she will drop out if she runs for President. Is she an unstoppable force? Or will they succeed in subduing her? Anyhow my cousin’s daughter currently living in the part of Astoria which is part of AOC’s district seems to adore her. But, maybe her “demographic” is unique (Chinese father, Puerto-Rican mother, living with her black boyfriend for over 10 years). Most people are senators or governors before they become president. The only exceptions over the past one hundred years have been a Cabinet member (Hoover), a war hero (Eisenhower), a guy who was sworn in without being elected (Ford), and… Trump. I like AOC, but I wonder if she can win over enough of New York State to become senator or governor. Upstate New York seems to be pretty conservative overall. On the other hand, maybe someone will choose her as a Cabinet member. If Warren or Sanders got elected president, I could see her being chosen. Any sitting senator or governor of New York should be afraid of AOC. They are standing on her stepping stones to the White House. I think the Democratic Party establishment will try to co-opt her and, if that does not work, get Wall Street to open their cheque book to destroy her in the 2020 primary. It is a long ways from now till 2024 when she will be old enough to become president. You do not think that the co-opting could work in the opposite direction, whereby the democratic establishment has trouble holding onto their power and they can’t get Wall Street to buy her arm of the party out or smear her? After all, se overturned the 20-yr. establishment incumbent and her twitter followers are growing much faster than anyone on Wall Street. One thing she can do, even to fellow democrats, would be to state publicly which candidates are beholden to Wall Street, which are beholden to oil and gas, which are beholden to Big Pharma, which are beholden to foreign governments, etc. , ie, make sure that all the 2020 candidates which survive are “clean”. I am just noticing how AOC (but certainly not just AOC, but the millions behind her too) have almost managed to kick Amazon out of Queens. Actually, I lived in the western edge of Queens and the proposed Amazon HQ2 is in the very congressional district I vote in. so I know these neighborhoods pretty well – I even used to see a dentist in the projects in Long Island City. This is in direct opposition to the mayor and the governor, who have basically opened up their pocketbooks to Amazon. If AOC and her followers can knock over the billionaire mayor and governor, with Wall Street right there, how big would that Wall street cheque book have to be to counter that? This is in stark contrast to how Amazon has been received in Arlington, VA. But Virginia is facing its own challenge with its state government scandals. I haven’t seen AOC weigh in on that. I also haven’t seen her weigh into the US – China Cold war (one of my biggest concerns). As you know, my roots in the US hail to DC and NY and I have been a bit enthralled by this development, especially as I am looking into moving back to the USA. I have become so entirely disgusted with the development following the Umbrella Movement (and the rise of Emperor Xi) that I think there is now more to do right back there in the USA and AOC has made it more optimistic. Maybe she could become mayor of NYC? The first one with zero beholdenment to Wall Street? who has the most power to clean up Wall Street? She has 40-50 years in front of her, there are so many things she could do in her lifetime. I worry more about her personal security. Does she have bodyguards? When I saw her break down government corruption the other day, the thing you referred to, two thoughts went through my head: a) she should be president and b) they are going to kill her. She is already a hate figure on the right. It is hard not to think of the 1960s where we were left with – Nixon. And Cointelpro. Deep down I feel like either AOC is too good to be true or that she is too good for the US. I hope she does not let herself be co-opted but only time will tell. Her popularity has sky rocketed. She’s pretty much got rock star status. I do like that she’s feisty and she’s smart with how she utilizes social media and she’s not intimidated by the old heads in Congress. She’s young and fresh and even i like what she’s bringing to the table. I am concerned about her safety and hope she has some security to guard her. These nut job Trump chuds would be glad to try and take her out. I think the Democratic Party establishment will try to co-opt her and, if that does not work, get Wall Street to open their cheque book to destroy her in the 2020 primary. She is still on fire. Every week she comes out with something simply amazing. If the Democratic Party establishment or Wall Street wait much longer, she is going to expose them way before they can even open their cheque books or wipe out their balances first. a nice video from AOC on her Green New Deal.